Did you feel that Super Blue Full Moon Eclipse yesterday? It was powerful and rare, last one was 150 years ago. 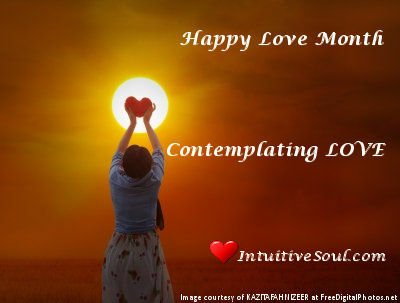 Well, February is always Love Month at Intuitive Soul and this year I was more contemplative than usual. I was told all my blogs are contemplative, but this one felt different. Maybe it was the passing of my first birthday without my mother especially since I was writing my blog on my birthday. I also feel like there is an energy of change occurring that may shift a great deal of change in my life and for the World. Obviously birthday’s make everyone consider our future and we just entered a new year with the Chinese New Year on Feb 16th, the Year of the Dog – so I think it is natural to consider where we are and where we want to BE. Let’s create a list and allow the Eclipse energy of the 31st and the Solar Eclipse on Feb 15th, the New Year and Chinese New Year to Create the Magic you are Desiring this Year. We finished the month of January with a Full Moon Lunar Eclipse in the sign of Leo on January 31st, 2018. We are still feeling the vibration of this eclipse after it transpires. Additionally, We are tapping into feeling the New Moon Solar Eclipse that takes place on February 15th at 4:05 PM in the sign of Aquarius. Eclipses are all about releasing, letting go and completing. Once we have completed something, we start on a new beginning path. We intensely feel the energy of Eclipses for two weeks before the first eclipse to two weeks after the second eclipse (they always come in pairs and are two weeks apart). However, keep in mind that the lesson will be integrated for a six month period until the start of the next eclipse cycle. (This year the next Eclipse cycle starts in July of 2018) In 2018 we are working with the Leo / Aquarius polarity (in July we will also have an third Eclipse in the sign of Cancer, brig forth the lessons around family in 2019). Laurie Huston from News the Heart is talking with physicist Tom Campbell on Love Month, Live Like Love. This is a deep conversation about the choices we make around Love in our lives. Our biggest problem is around trying to fix, change, teach or heal others. When we come from this place we are in ego and placing conditions on Love. What we need to do is come from a place of BEing Love. BEing aware of how we can give love, as love is given! We typically have conditions and we are giving love with expectation. We need to understand that when we want something, or expecting or need to validate our need for BEing right, we aren’t “loving”. We also discussed our confusion around Self-Love, really being about liking who we are. This will assist us to understand our fears. Confidence and Acceptance are the only ways to face our fears and evolve towards Love. Accepting who we are, will assist us to understand ourselves and face our fears. Coming from a place of Love will always create what it is we desire most. Join us for this important discussion! We’re Getting to the Heart of what Matters! We have two eclipses this month and Nancy Arruda will discuss below in What’s Up in the Universal Sky. Is anyone else exhausted? Emmanuel Dagher says we will feel a shift soon, I’m hoping to feel “The Spark is Back” soon! I’m also hoping that our Ground Hog will predict an early Spring, although, our winter hasn’t been all that difficult as much as no Sun Shine. I think that is why I’m so exhausted!? I’m offering a new service of personalized 10 minute meditations that will include a set of wishes that are channeled to inspire you or someone you love for the Holidays or any day! This is a wonderful way to begin or end your day! 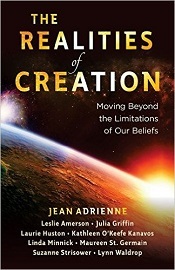 Our book “Realities of Creation” that I co-authored has been released. It looks fantastic and my chapter is on the Power of the Heart! Purchase your book today! It makes for a lovely gift, with 9 Powerful women offering a toolbox, filled with ideas to help us move beyond our pre-conceived notions and limiting beliefs. The reader can take a little from each of the contributors and craft the method of conscious creation that best works for them―with consistency, ease, and grace! Buy Yours Today! My interview for this brand new series is on Feb 10th. Join us for this! As the saying goes… “All good things must come to an end!” Our several week of, “all planets in direct motion” comes to an end on February 6th as the planet Jupiter which represents, luck, expansion and growth, stations retrograde at 23 degrees Libra 8 minutes. I still think that 2017 is going to be much more exciting and rewarding then 2016 was, but the ease and push forward that many have been feeling will somewhat be brought to a halt. It is time to look inwards to understand the growth process. This particular retrograde is speaking to an inner transformation, which will have you developing your inner strength. The transformation that transpires is one of spiritual development as we develop and create a new or stronger connection to our higher self. Jupiter in Libra does create a strong desire to connect with people on a social level, but as it retrogrades one may feel like withdrawing from this dynamic. The key is to focus on maintaining balance and peace as you allow yourself to reach into new territories of faith and trust. This month there will be two eclipses. Remember, eclipses are all about releasing what no longer serves your inner and outer realties. We finish up with the final bit of releasing the Karmic Completion energy of 2016 with the Solar Eclipse on February 26 at 8 degrees of Pisces 12 minutes. Before that happens, we do integrate the release that is necessary with the lessons of 2017 with the Lunar Eclipse at 22 degrees Leo 28 minutes on February 10th. So we are a little mixed up, clearing the new energy, before clearing the old energy and in some way they are intertwining to bring us the ability of RELEASE before embracing the GIFT! What is lingering on a Karmic level that you need to finally move forward with letting go of? That is what the Pisces Solar Eclipse is asking us. Is there anything lingering from 2016 that you need to finally clear from your energy field? What tasks can you perform now that allow you to walk away from situations or people that no longer serve your highest good? Ponder that towards the end of the month, I am sure the Universe is going to show you what that is. But if you recall, before you can even think about clearing that karmic residue of last years lessons, one must really take a look at their creative process. You should also keep in mind the ego may have some challenges with this. With the Solar Eclipse, we are looking at things that are stopping us from living life with an open heart. Our heart chakra is going to poked and prodded as we process what the universe is showing us in regards to NOT living with an open heart. There are many layers to understanding what is blocking us from living life that is filled with Love and Joy. So keep your eyes open and keep your heart open, as you venture into the unknown reality of your heart chakra to see how you need to integrate forgiveness. One can not forgive if one does not acknowledge or accept that forgiveness is a necessary part in the human dynamic of heart centered evolution. Remember, we are always at choice; the choice here is to accept or not accept the quest the Universe is sending you on. In the Month of February, start the spring cleaning early. Let go, release, purge all those things that are stopping you from being in the place you desire at a heart center. 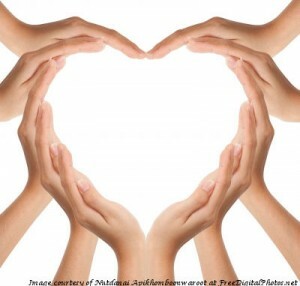 Most of all, tap into the LOVE that is available to everyone and spread the JOY through your open heart! In the movie “Arrival” I was completely enthralled with the last question Louise asks Ian: “If you could see the whole story of your life from start to finish would you change things?” Without giving away the movie this is the perfect question for all of us. If you knew your whole life story would you make different choices? Would you live life to the fullest, knowing that things will happen, but we can choose how we want to respond to them? We don’t have to Love differently just because we know that someone will leave or die! We can choose to embrace all the beauty and perfection that exists in this moment. It made me think: just because someone is going to leave does it mean it was less significant or that it was a failure? We have a tendency to protect our heart believing our heart can be broken. We also tend to create addictions so that we don’t have to feel our discomfort. What if that wasn’t really why we were here? That it isn’t about the love we are able to hold onto but rather the capacity to love. What if everyone in our lives are here to assist us to expand our ability to open our hearts, to Love unconditionally and to know we are loved? This is what we all want anyway, to love and be loved. So why would we love less or feel less loved just because someone leaves? And why do we believe that once they leave we have to throw out everything that reminds us of that relationship? This pondering led me to my second sign. I was preparing for Linda Howe’s interview about her book “Healing through the Akashic Records: Using the Power of Your Sacred Wounds to Discover Your Soul’s Perfection”. She talks about the purpose of people in our lives triggering our Sacred Wounds and that the role of the offender is to teach us to love unconditionally! Does it get more powerful than that? So if we can see our whole life from start to finish and we knew about all the relationships in our life and we knew from our Soul’s Purpose it is about learning to love unconditionally would we change anything? Or could we just stop worrying about the length or whether this relationship becomes ‘the one’? Could we just enJOY every moment we have and LOVE? To me this changes everything. I personally have gotten all caught up in my relationships: from friends to the friends who leave, to my romantic relationships or the lack thereof, to whether once I begin dating thinking of where this will go instead of just enjoying the time I get to spend with them. My ‘Sacred Wound’ is abandonment and although I have learned to stop taking things so personally it is still my Sacred Wound and it is still the primary concern I have when people stop communication with me. I still wonder what have I done wrong. Knowing that my Sacred Wound is really what I have chosen to help me love unconditionally definitely adds a new dimension to my life. Knowing that the friends and lovers in my life are here to help me love unconditionally is a very profound thought! Even the ones who appeared to betray or hurt me are actually still here to show me how to love unconditionally. Think about the implications of this and the question of love. Love is! Love isn’t attached to a person, place or thing. It is the expression of our Soul. It is the expression of Source. If every encounter and every trigger of our Sacred Wound is really an opportunity to Love unconditionally what would that look like? And would we, could we, change each opportunity if we knew our lives from start to finish? Or is it a matter of how we choose to experience each moment and relationship? In “Arrival” the question was quite a bit more intense however and my questions arose because of how powerful this one question is. Love month isn’t just about romantic love, friendship or family love, it isn’t about the confusion around self-love, it is: can I love unconditionally? Can I release the need to only love when the right circumstances occur? Can I love knowing that this person can leave or die? Can I love without judgment? Can I look into another’s eyes and see the unconditional love they have within them? Can I know that they are in my life, whether for a long time or short time, to teach me about unconditional love? I choose to say ‘YES’ but my Sacred Wound is still there and it may always be there but at least now I am knowing that it is there in the first place to help me Love Unconditionally. When can we let go of this need to change, fix, or heal our Sacred Wound and just BE … and loving unconditionally ourselves and others? And enJOYing the ever present moment regardless of how long it will last or whether or not it will hurt us later. I choose to see Love differently now. I choose to see my Sacred Wound differently now. I choose LOVE! How about you? Sign up for my newsletter on the right at the top of the page to receive discounts on my favorite services and download a Quan Yin meditation. February is Love month on Intuitive Soul and as I pondered what I wanted to write this year, two very important signs came into my awareness. I watched “Arrival” and I prepared for my second interview with Linda Howe. Why are these important? In some ways they don’t have anything to do with love and in other ways they can shift your awareness of love completely. News for the Heart: Laurie Huston & Tom Campbell discuss Relationships! Laurie Huston from News the Heart is talking with physicist Tom Campbell on Relationships from his up and coming book! He offers tips and tools to help us focus on authentic Love. We discuss that women and men are hard wired differently and what our genetic instincts are. We discuss that Romantic Love is often based on Fear and not Love at all! Tom has a brilliant way to simplify our world into love vs fear. We discuss how Love is about “others” not our own needs, and when to recognize our fears associated with Romantic Love, Ego and how we can shift our perceptions when we are feeling triggered by fear and focus on Love. Join us for this fascinating discussion! We’re Getting to the Heart of what Matters! Well, February is here and this is quickly becoming the New Winter that wasn’t here in Toronto! We have a record low of snow and ended Jan on a high note, double digits (50 F). Our last year, winter of 2012-13 that was labeled the winter that wasn’t due to it’s unseasonably warm weather, received 43 cm of snow and to date we only have 14 cm, which is crazy! But, after our last 2 winters, this is a very nice break! On Feb 8th we welcome the year of the Fire Monkey. This is a year of adventure, discovery, questions and answers, when luck can strike at bizarre times and fortunes can turn in the blink of an eye. Risk, strategy, learning, change and progress feature prominently in a Monkey Year. A year to Shake things up! Just be careful not to play with fire! Jean Adrienne and I are continuing our Heart-Based Support Group and it has been a lot of fun! It includes 4 calls each month for a low price of only $50 per month or if you sign up for 3 months you can continue the low price of $44 per month. Please join us, it will be a great Support to our Spiritual Evolution! For more information or to join now GO HERE! 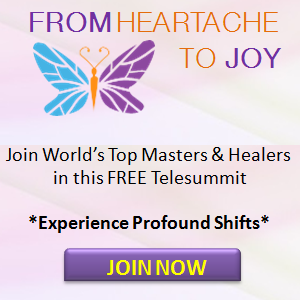 Last Month I had a special announcement about the From Heartache to Joy Telesummit beginning on the 18th. Please show your support by clicking the banner. There are some amazing speakers and my call will be on March 24th at 11 am EDT. Realize your Full Potential and Achieve your Dreams! This summit is FREE and it could change your Life! Join NOW! Goodbye January! What a wacky month that was. As the end of the month of January comes to a close, one might find themselves in a place of uncertainty. A place of not really knowing where all this wacky energy is taking you. We may not desire to sit in uncertainty, but sometimes we just need to sit there. And by sitting in uncertainty, it does not mean that we are sitting in fear, it simply means that we are sitting in a space of not being able to see clearly, yet. The beginning of February asks us to purge, cleanse, release, let go… and you may find yourself inspired to do physical acts of cleaning. Through these acts, we are also vacuuming up the dust bunnies that exist within our consciousness. One may feel intense vibrations that are brewing beneath the surface. These all have to do with different interactions of Mars and Pluto, Mars and Uranus and Venus and Pluto up to February 5. As we approach the second week in February, love is being stirred in the air as Venus and Mars continue to dance with other planetary vibrations, as well as, with themselves. Of course, we all dream of the perfect love affair, especially around Valentine’s Day. But this year, I ask you to keep your eyes open. Sometimes, the love that you desire shows itself through an illusion. Within days of one another Mercury (February 13 ) and Venus (February 17) shift into the sign of Aquarius. This stimulates the mind and activates desires in an usual way. Unique ideas and unusual beliefs begin to intertwine. Allow yourself to spontaneously create that which your Soul desires as the Sun moves into the sign of Pisces on February 19. Transformation, at a heart level, is required. Relationships and values need to be healed as our heart awakens to its true authenticity. In this creative Pisces Sun energy, remember to use discernment towards the end of the month. The mind will be focused, focused on the foundations that you are creating, as well as, on the heart that you desire to awaken. Dream all the dreams that are being given to you as the Sun conjunct Neptune on February 28 inspires the dance of your Soul. When dancing with the Soul, one never truly knows how that will manifest in the physical reality, but know, one must focus the consciousness of the Soul as it is infused into the desires of the physical reality. There is a big gap between the soul reality and the physical reality. But one must realize, the gap needs to be reduced. Embrace the creative dance that you are dancing. Clear the blocks to the heart. Let your light shine, as you integrate what is karmically transpiring. 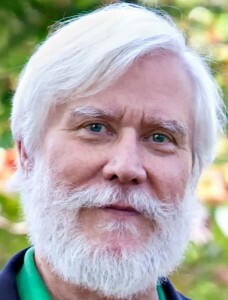 On Feb 4th at 4pm EST, I will be a co-host with Jean Adrienne on her show Power Talk on www.healthylife.net. It’s live so call in on 800-555-5453! We are on every first Thurs of the month! I like to term February as Love Month, but what happens more often than not is that we think about what is Not Love. What do I mean by this? 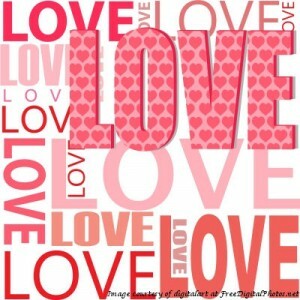 We think about love in February because of Valentine’s Day, which means we are thinking about ‘romantic love’. And most of our definitions of romantic love are constructs of love dictated to us through the use of media and our experiences from our childhood that defined love. Both of these ‘ideals’ are inaccurate and often have nothing to do with love at all, but are rather a reflection of our needs and wants in a relationship. Which is to say; that ‘love’ is what we feel we need reflected back to us through our significant ‘other’ or from any intimate relationship. We are actually ‘in love’ with an ideal of what we believe we can receive from another. We tend to search for ‘love’ to be reflected back to us in all the wrong places hoping for our ‘ideal’ and then settling for not being alone. But what are we actually searching for? We are searching for someone to meet our ‘needs’, our conditional expectations that we have set and we have often come with a list of these needs. Yet the only way we can actually have these needs met would be if we met them ourselves. We ask for physical descriptions, romantic notions, and worse: we ask for the very things we are lacking within ourselves. An example of this would be after experiencing a long list of men who had commitment phobias we want someone who is committed to us. A worthy goal. However, if we have had a pattern of men (or women) who couldn’t commit to us, it is more likely that we have the commitment issue and our partners are just mirroring it back to us. And why would we do this to ourselves? It may be that we do not feel safe in relationships and therefore choose men who can’t commit! However, this doesn’t mean that our mirrors are exact replicas; rather it means if someone lacks commitment we attracted them or requested a ‘soul’ contract so that we can learn something about our Soul’s path. When we don’t learn it, we get more opportunities to open us up to the learning our Soul’s choice for us. It may not be commitment that is our issue. It may be self-confidence or it may be that we are learning to love ourselves and in both of these cases having someone with a commitment phobia would be perfect. And something as ‘big’ as self-confidence or self-love would take life times to learn. The point I’m making is that our definition of “love” is often based on an unreliable source, whether it is  a romantic sentiment created through our media culture that is an imaginary ideal that has no truth or authenticity as it is a fantasy that has nothing to do with love; or  our definition comes from our experiences of love, often based on our childhood and the patterns we have been repeating since then. Love isn’t about meeting our ideals or giving us what we need or believe we need, like more romance, safety, commitment or “characteristics” that we often desire in a mate. Love is our ability to share, to give unconditionally, to accept a person for who they are and to take our needs out of the picture. Love is about the other person. Love is about letting go of all of our fears, beliefs and idiosyncrasies that we often blame ‘others’ for and about taking responsibility for all of who we are so that we can love others as well as ourselves. Love is knowing who we are and expressing this to another. Love is infinite without conditions, judgments, fear or resistance. Love is! And lastly, our search for love has a motivation that we need to identify and understand so that we know what we are attracting and what our Soul’s purpose is. Our Soul in its infinite wisdom chose this life and all the circumstances that have occurred in our life to assist us to know love. All of our relationships are steering us towards our purpose. As I have said many times, relationships are what help us grow the most on this journey. Since we are moving towards love our relationships are all teaching us something about our purpose. So if we could view all of our relationships as a message instead of failure and look at what they are showing us from a ‘bigger picture’ we would be able to have a glimpse of this purpose. What is our motivation for desiring a healthy relationship (either new or getting a current one back on track)? What are the fears that motivate us to desire love? What hasn’t worked in the past? And what do we feel we have learned through all of our relationships? These are all messages our Soul has designed to move us towards who we are and for the quest for Love to take us to all the right places. I invite you to take some time this month and examine your choices and desires towards love. Know that everything is perfect for you to grow towards who you are and to express Love in its infinite wisdom. Love is something you share and give to the world. Find a way to express it and Love will find you! If you want to join us for a live taping of News for the Heart, you can join us on Hangouts or BlogTalk. I will post all the information on Facebook! 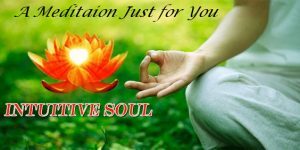 Sign up for my newsletter on the front page you can receive discounts on my favorite services and download a Quan Yin meditation. News for the Heart: Laurie Huston & Tom Campbell discuss Love Month! Laurie Huston from News the Heart is talking with physicist Tom Campbell on Love Month! He offers tips and tools to help us determine when we are focused on Authentic Love vs Romantic Love and what to do if we were to really focus on Love Month. We discuss that Romantic Love is often based on Fear and not Love at all! Tom has a brilliant way to simplify our world into love vs fear. We discuss how Love is about “others” not our own needs, and when to recognize our fears associated with Romantic Love, Ego and how we can shift our perceptions when we are feeling triggered by fear and focus on Authentic Love. Join us for this fascinating discussion! We’re Getting to the Heart of what Matters! Laurie Huston from News for the Heart is talking with Eric Altman about Love, self-love and romantic love. 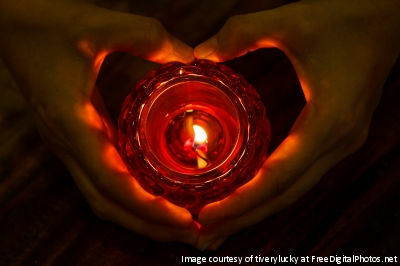 Eric offers two meditations on clearing our energy to remove old patterns around Love! We discuss our New Support Group that Eric will be creating with Intuitive Soul for a weekly group call and his weekly Heart Field Healing sessions. Join us for this fascinating discussion! We’re Getting to the Heart of what Matters!